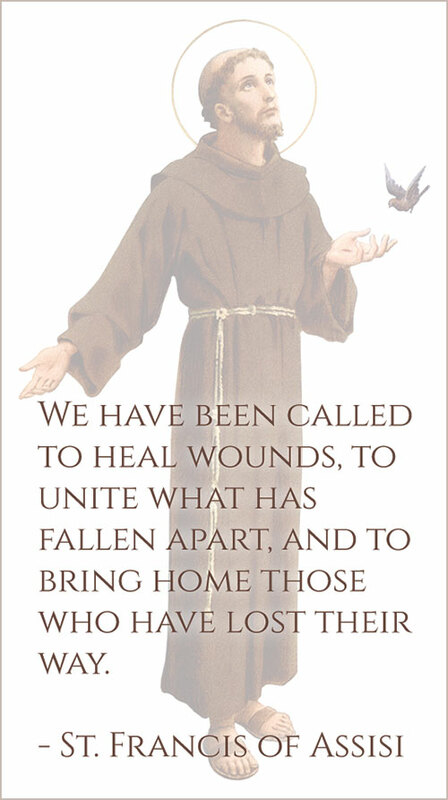 SUPPORT THE GOOD WORK OF THE FRIARS TODAY! Make a difference today through your Giving Account (Donor Advised Fund) by recommending the Franciscan Friars of the Atonement for a grant from your account. Log into your Giving Account (Donor Advised Fund/DAF) using this convenient DAF Direct Tool, and make your grant recommendation to the Franciscan Friars of the Atonement today. Friars of the Atonement, Inc.
What is a Donor Advised Fund (Giving Account)? A Donor Advised Fund (DAF), commonly known as a “Giving Account” is a philanthropic vehicle that allows donors to make a charitable contribution of cash, publically-traded stocks, and in some cases, certain liquid assets; receive an immediate tax benefit; and, then recommend grants from the fund over time. An easy way to understand a donor-advised fund is to think of somewhat like a charitable savings account: a donor contributes to the fund as frequently as they like, receives the tax deduction at that time and then recommends grants to their favorite charities over time when they are ready. DAFs can be easily set up through a variety of financial institutions. Using the DAF Direct Tool on this page, you will find a selection of a few such institutes. There are more than just those listed here.